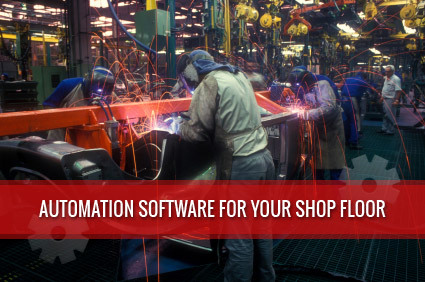 Your shop floor is where the heart of your operation is; it is where parts are made, processes performed, orders assembled, shipments packaged and shipped, and revenue generated. With this understanding, we developed PlantTalk:MES, a fully integrated Manufacturing Execution System for shop floors. PlantTalk:MES is designed to control and direct the operations at the shop floor level, assisting the shop personnel in getting their jobs done accurately and efficiently. This can be achieved by focusing on a very specific area of your operation, or can be implemented across your entire plant floor or extended enterprise. Datanational has been providing expertise, innovation, and new technology products and services to our enterprise customers. Datanational specializes in the design, development, implementation and support of complete Manufacturing Execution Systems for shop floors. Our CNG Assembly Process Automation solution supports the typical assembly and installation process for a CNG & gasoline equipped vehicle. PlantTalk:Receive is designed to streamline the receiving process for all parts and components coming in to be used in the manufacturing or assembly process. PlantTalk:Build controls the entire manufacturing or assembly line build process. It provides intuitive operator instructions on touch-screen monitors and PLC/machine interfaces for data collection and validation. PlantTalk:Sequence is an integrated and comprehensive solution for the automotive sequencing requirements. It supports simple and complex implementations. PlantTalk:Pack is an automated, scan-enabled pack-off system. Its front-end functionality provides for part label printing on demand, based on PLC triggers, scanning or a touch-screen user interface. PlantTalk:Ship is a great fit for cross-docking operations where parts need to be relabeled to the customer specifications and verified for shipment. Shipment data can be uploaded to the existing business system to generate any required EDI or standard shipment paperwork. With PlantTalk:ContainerTrack, you gain visibility into the status of your shipped containers, relative to their normal turnaround times. You can then track down your missing containers more efficiently. PlantTalk:PLC Connect collects production statistics and cycle times by interfacing directly with your machines and fixtures. It stores the metrics in a database for viewing and exporting to other systems for graphical representations. PlantTalk:Inventory provides for a warehouse setup in the Plant/Aisle/Row/Tier format for warehouse put away. We specialize in the design, development, implementation and support of complete Manufacturing Execution Systems for shop floors. Solutions of this type typically require the skills to integrate the machines, tools, production report and alert systems with communications equipment and ERP/MRP systems to inform and guide your employees. We possess the required knowledge and expertise to enhance your existing systems or implement new systems to your specific project requirements. Contact us today to discuss your PlantTalk:MES needs.